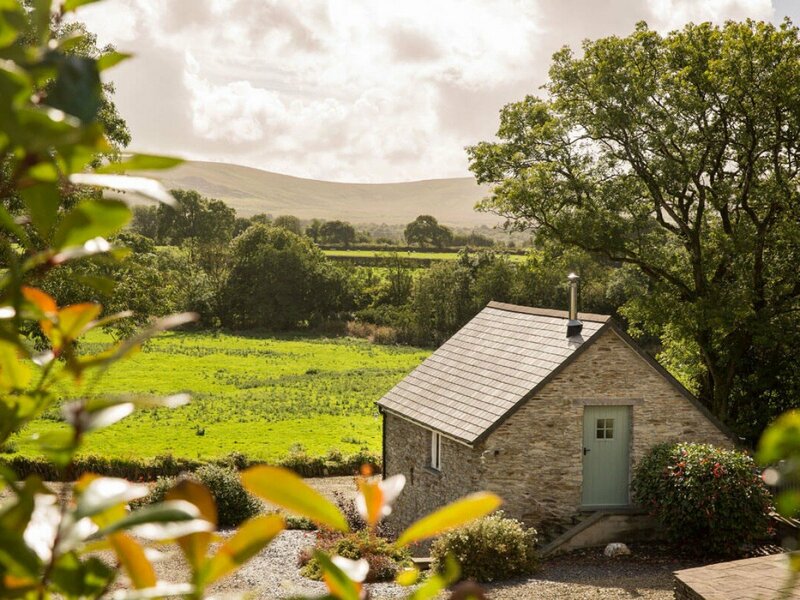 Storws is a romantic retreat for couples, delightfully situated in a beautiful valley with stunning views Preseli Hills. Just a short drive away are some of the finest beaches in the whole of West Wales. This is the ideal location for honeymoons and special occasions. The cottage has the living quarters on the first floor so guests can really take advantage of the superb views. The living area is spacious and offers guests real comfort with all of the modern creature comforts you could wish for. The kitchen and dining area is fully equipped and the living area is the perfect place to relax after a day of exploring. Downstairs, which has underfloor heating has also been finished to a very high standard with beautifully relaxing bedroom and king-size bed as well as a luxurious bathroom. Outside there is a patio which is a real sun-trap and the perfect place to sit with something chilled and enjoy the views. There is ample parking for at least 2 cars.